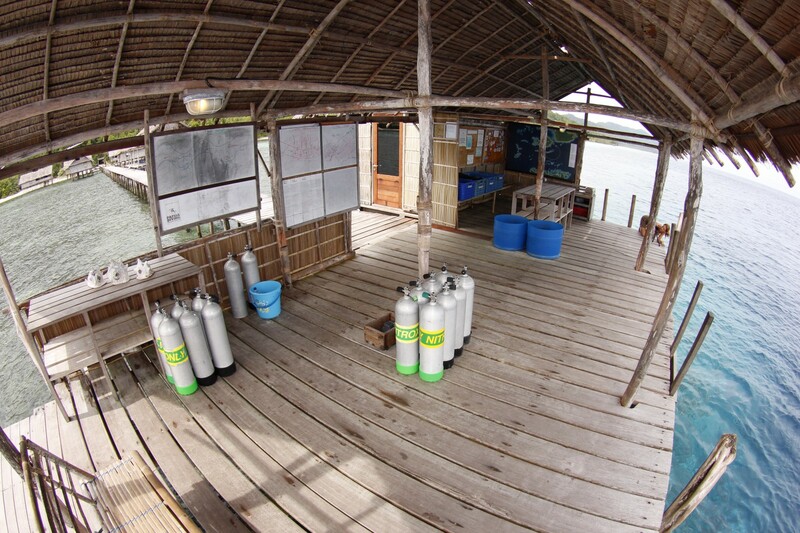 Kri Eco Resort is a simple, informal, but very comfortable dive resort located at the edge of mountainous Kri Island and shaded by palm trees that run along a long fine white sand beach. 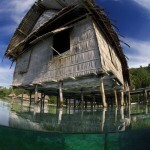 Designed to be low-impact, eco-friendly and blend with its surroundings, the buildings were built using local materials by Papuan villagers, many of whom are still employed there. The resort is truly part of nature and every morning gueasts wake to an orchestra of tropical birds. Meals and drinks are served in the restaurant, a large over-water dining area with long tables, sheltered by a traditional palm thatched roof, which always offers a nice, fresh breeze. There are no electrical appliances, everything is made my hand. Each meal is prepared fresh. Vegetables, fruits and fish are bought from local villagers coming to the beach daily in their boats. 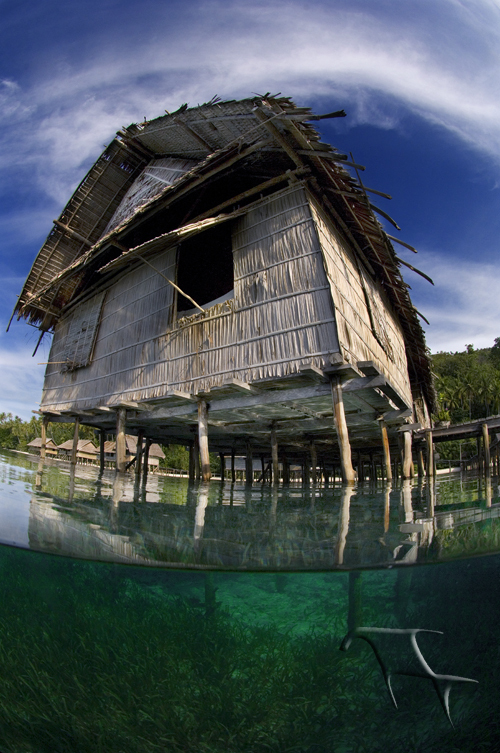 Kri Eco Resort has 10 over-water bungalows of traditional Papuan design, perched on wooden stilts between abundant reefs and pristine jungle, with a relaxed, friendly atmosphere. 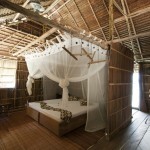 Most of the bungalows contain two guest rooms and a sitting area with handmade furniture. Rooms are divided by sliding doors for privacy and each features fan, mosquito net, camera table with outlets and 24 hour electricity and laundry service. 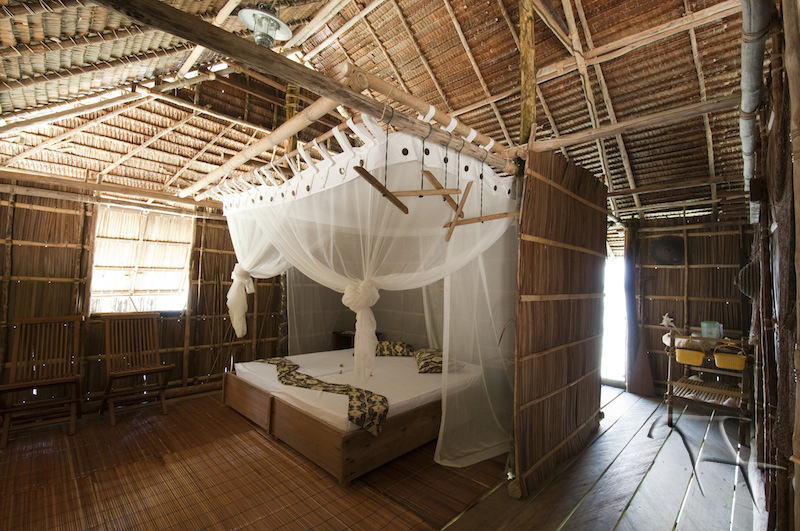 Shared ‘mandi’ style bathrooms are located on the beach to reduce environmental impact. 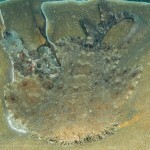 Hot water is provided after night dives. The Deluxe over-water bungalow is located further down the beach for privacy and has 1 spacious bedroom, private bathroom with hot water shower and private porch facing the sea. 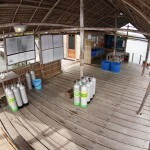 A pioneer in this area, Papua Diving has many years of diving experience in the Raja Ampat and knows the area as no other operator does. 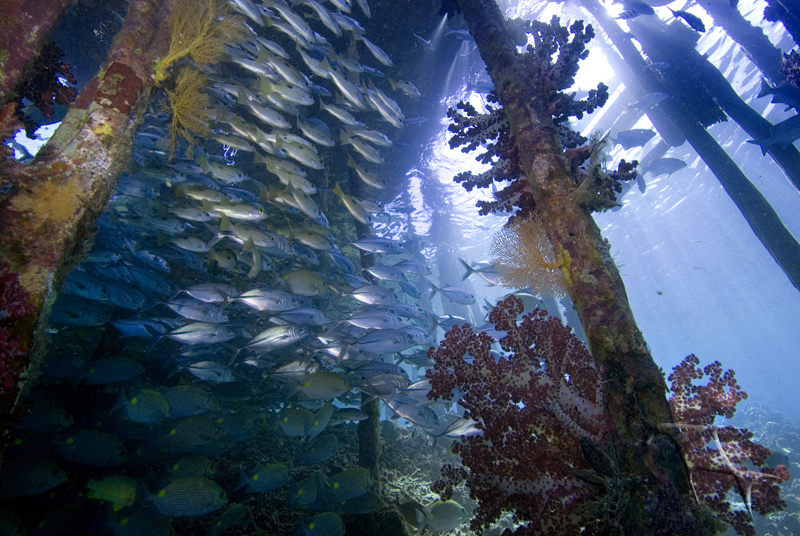 Much of their knowledge of the reefs has been gained by working with the local Papuan people and many of the diving staff are born and raised in the area. Papua Diving boats go out a maximum of 6 divers per boat, they offer free Nitrox and the option of diving excursions to other islands. 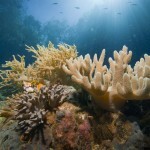 Most sites are 5 to 15 minutes away from the resort and offer world class diving. 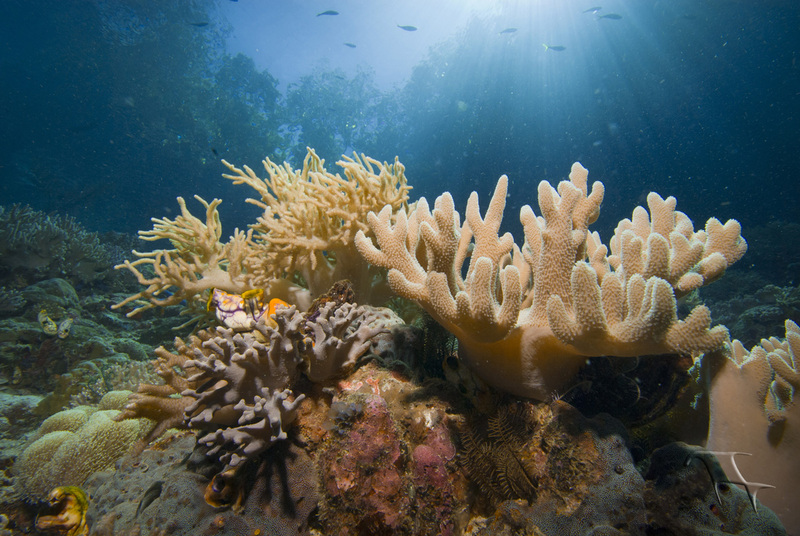 Increasingly well-known as the world epicentre of marine biodiversity, the islands of Raja Ampat offer a world of thrilling big animal encounters, the chance to see new species, pristine reefs of hard and soft corals and some of the world’s most intriguing macro creatures. 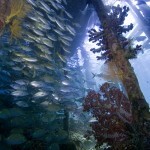 No two islands or islets are alike, and no two dive sites the same. The steep-sided walls of the rocks are shaped by wind and water. 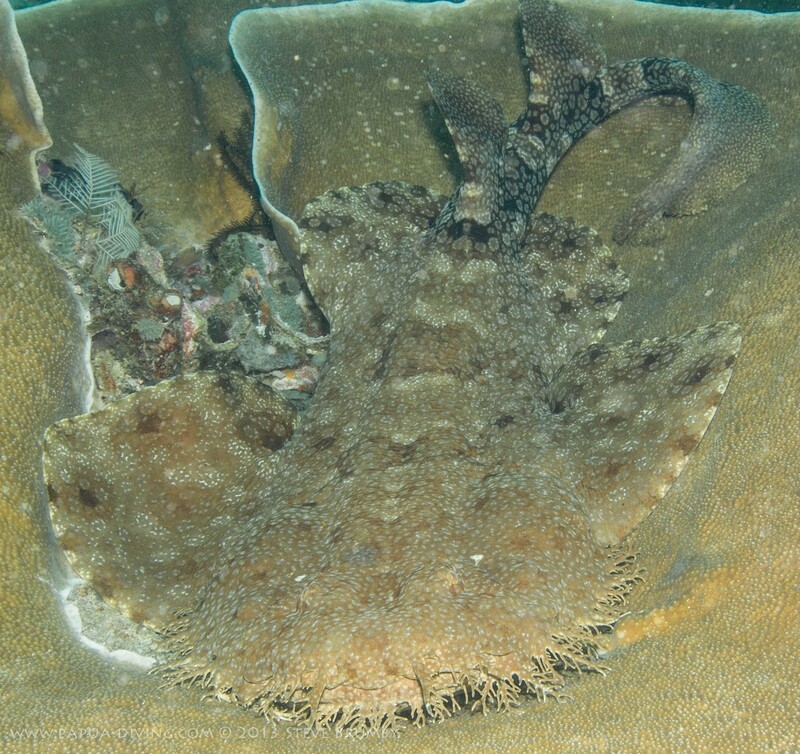 Soft, vanilla-colored, sandy bays are ideal for spending time exploring between dives.